Update: Apple has responded to Bloomberg’s report with a statement calling it “completely false.” The company maintains that Face ID’s previously announced 1,000,000:1 accuracy remains in place, but doesn’t appear to dispute claims that some specifications were relaxed to speed up iPhone X production times. It’s no secret that production issues have seen Apple struggled to produce enough iPhone Xs to meet demand. According to a report by Bloomberg, the company addressed the problem by allowing suppliers to reduce the accuracy of its facial-recognition tech, thereby making the handsets easier to manufacture. The iPhone X’s facial ID system has proved to be a controversial feature, with question marks continuing to hang over its safety and effectiveness. As if the public's wariness wasn’t bad enough, production of Face ID’s 3D sensor, which consists of a dot projector, flood illuminator, and infrared camera, has been plagued with issues, with the dot projector proving to be particularly problematic. “Precision is key. If the microscopic components are off by even several microns, a fraction of a hair's breadth, the technology might not work properly, according to people with knowledge of the situation,” explains Bloomberg. The publication goes on to say that one of Apple’s laser suppliers, Finisar Crop., dropped out early on as it failed to meet the company’s specifications in time for the start of production, while both LG and Sharp both “struggled to combine the laser and lens to make dot projectors.” At one point, only about 20 percent of the dot projectors the two companies produced were usable. To increase the number of usable dot projectors and speed up production, Apple is said to have “relaxed some of the specifications for Face ID,” according to a person with knowledge of the process. 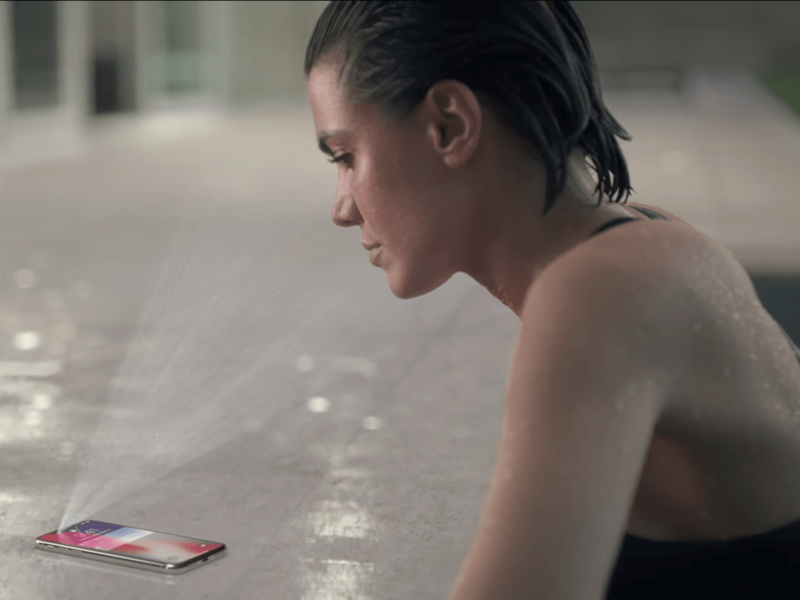 Exactly how much the efficiency and performance of Face ID have decreased as a result of the new specifications is unclear. The system is still thought to be an improvement over Touch ID, which has odds of 50,000:1 of someone other than an owner being able to unlock a device. Apple claims Face ID’s accuracy is 1,000,000:1. Ming-Chi Kuo of KGI Securities estimates that there will be two to three million iPhone Xs available for the November 3 launch, with 25 million to 30 million units for the holiday quarter, down from his earlier prediction of 40 million. During the same period last year, Apple sold 78 million iPhones, though that figure does include all models. One person who won’t be joining iPhone X lines on launch day is Apple co-founder Steve Wozniak, who says he’s happy with his iPhone 8. Check out an early look at the iPhone X in the video below, which comes from YouTuber Brooke Amelia Peterson (it's since been pulled from her channel), whose father works at Apple. I never failed to notice Apple didn't state by how much they've lowered their accuracy expectations to but I reckon 5:1 and you will have gotten yourself a gem. What's the odds that two days after it's launch the face ID will have been cracked? About a million to one against. I can't wait to see you guys when proper reviews comes out. The only way to ensure that kind of accuracy at present is via a properly controlled laboratory DNA analysis. Couldn't pay me to touch that ****. I'll still be saying what a crap phone then. The guy in the video even uses a pin, that right there tells me face ID must not work as much as they claim. Lol. I'll see you then. Very much so, but to my knowledge at least.